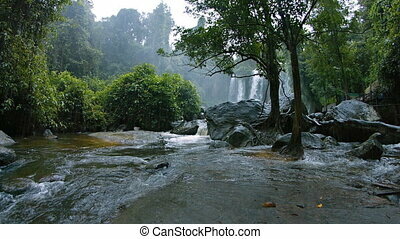 White water over the brink at phnom kulen, with sound. 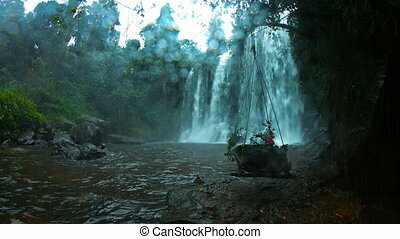 Veil of white water tumbles over the brink of a natural park at phnom kulen in cambodia, with sound. 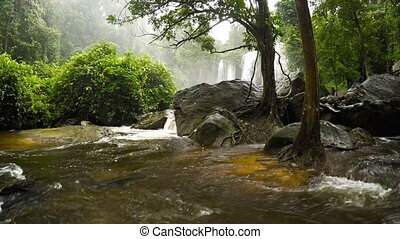 fullhd video. 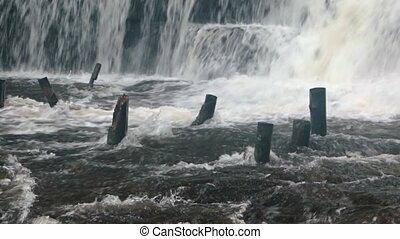 "White water cascades into a turbulent pool and washes around the wooden pilings of an old building, long since washed away, with sound. 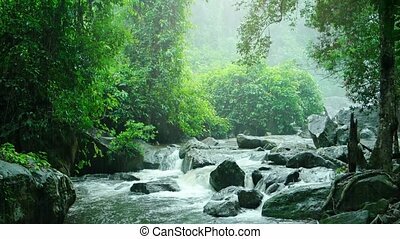 FullHD video"
Curtains of whitewater tumble over and around enormous boulders at the brink of Datanla Waterfall, with dense jungle foliage and sound. 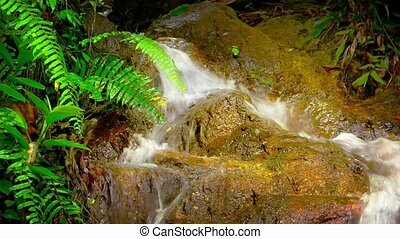 "White water roars continuously as it cascades over the edge of a natural, jungle waterfall, into a rocky pool, far below, with sound. 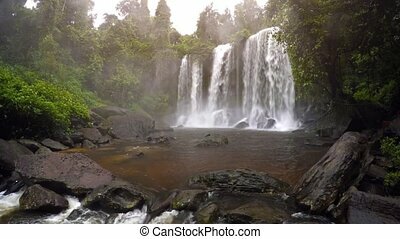 Video 1920x1080"
Water swirls around boulders after a long plunge from the natural waterfalls at Phnom Kulen National Park in Cambodia, with sound. 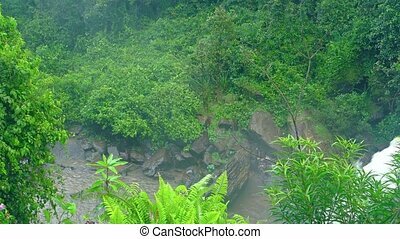 "Jungle greenery, partly obscured by the light, misting rain over the gentle, burbling flow of water in a natural waterfall, with sound. 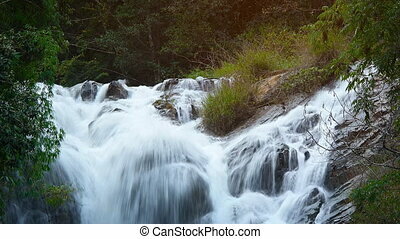 Video 1920x1080"
FullHD video - Whitewater flows and tumbles over the rocks at this beautiful, natural waterfall in a tropical rainforest wilderness, with sound. 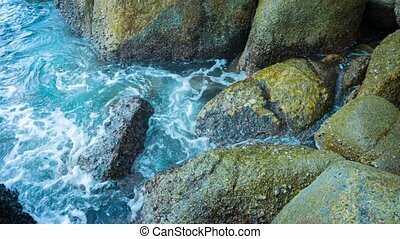 FullHD video - Clear ocean water sloshes and surges in and out of a tidepool, and over the mossy rocks at this beach in Southeast Asia. 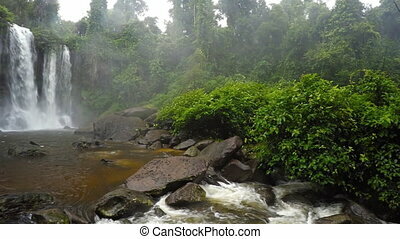 With sound.